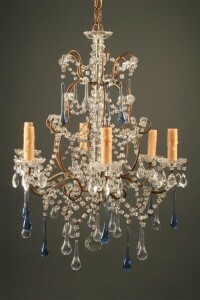 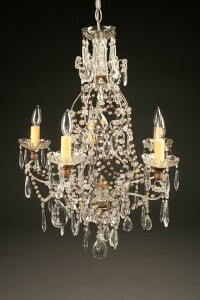 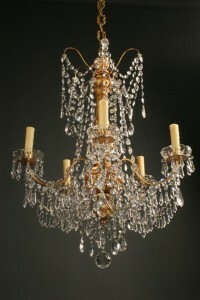 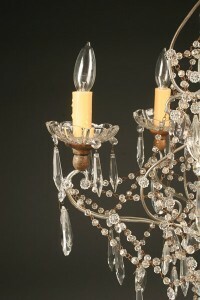 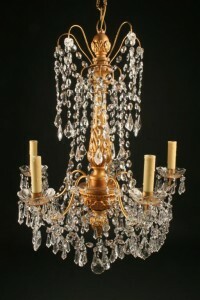 Four light bronze and crystal Italian antique chandelier. 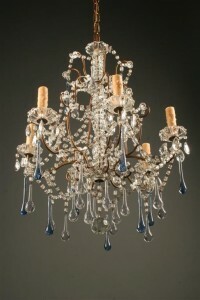 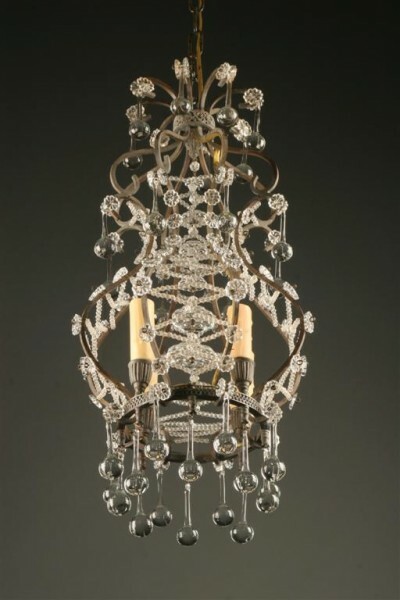 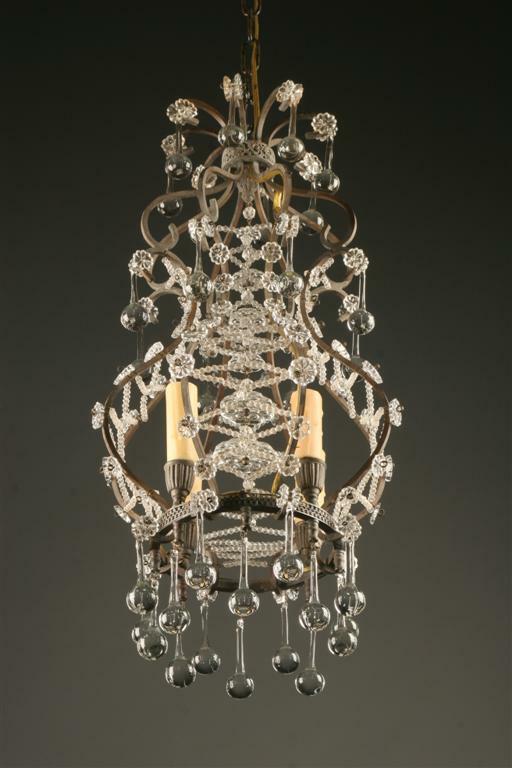 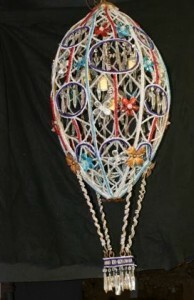 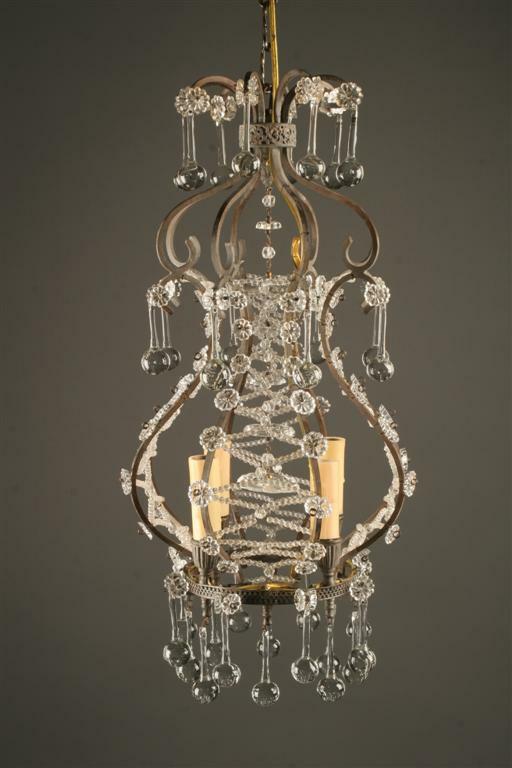 French bronze and crystal six arm antique chandelier. 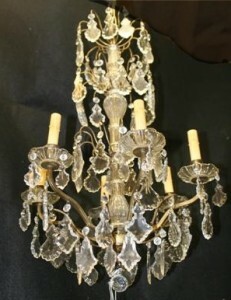 19th century Italian six arm iron and crystal antique chandelier.